State Rep. Aaron Stiles praised Gov. Mary Fallin for signing legislation designed to ensure deployed parents will not lose the custody of their children while serving the country. 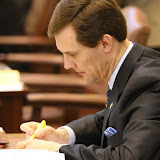 House Bill 1603, by Stiles (R-Norman), bans military deployment as a reason to modify custody, bans courts from entering final orders while the deployed parent is deployed, provides for remote electronic hearings and allows deployed personnel to designate a family member to exercise visitation and enforce custody. Stiles said that losing custody and visitation rights should not be one of the sacrifices service members have to make to serve the country. Two Oklahoma organizations are ready to reward two avid summer readers each with a college savings account worth $2,529 during the 2011 Summer Reading Program. As National 5-29 College Savings Day approaches, Sunday, May 29th, State Treasurer Ken Miller announced the Destination College Savings Sweepstakes, a partnership between the Oklahoma 529 College Savings Plan (OCSP) and the Oklahoma Department of Libraries (ODL), designed to give program participants the chance to win a college savings account while continuing to broaden their knowledge over the summer. The sweepstakes will award $2,529 for an Oklahoma 529 College Savings Plan account to two lucky Summer Reading Program participants. One winner each will be selected from the Children program and Teen program. Plus, each library of the winning readers will be given $1,000 to help fund its summer reading programs. Gov. Mary Fallin has signed legislation modifying the Lindsey Nicole Henry Scholarships for Students with Disabilities Program Act to ensure children with special needs receive scholarships in a prompt manner. 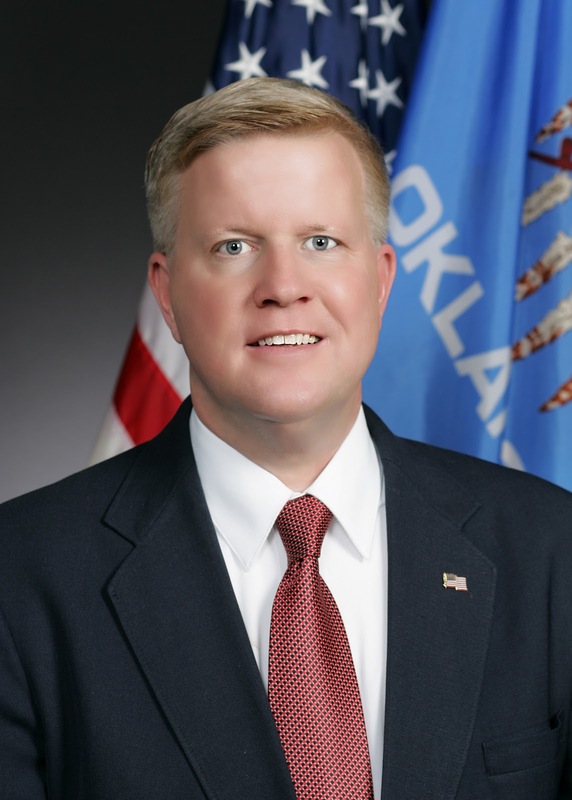 House Bill 1744 by State Rep. Jason Nelson (R-Oklahoma City) and State Sen. Patrick Anderson (R-Enid) changes the law so school districts will no longer administer the program. Instead, the Department of Education will administer it. Last year, lawmakers voted allow a student with a disability (such as those with Down syndrome or Autism) who has an individualized education program (IEP) to receive state-funded scholarships to attend a private school. The scholarships come from the amount of money already designated for the education of those children. After the program went into effect last August, several Tulsa-area schools voted to break the law, leading lawmakers to adjust the program this year. The Department of Education will have the authority to reduce state aid to school districts that have failed to comply with provisions of the program since it went into effect nine months ago this week. This will allow the Department of Education to pay scholarships for the current school year if it is determined that a local district has failed to follow the law. Earlier this year State Superintendent Janet Barresi was forced to send a letter to the superintendent of Union Public Schools informing her that a new transfer policy passed by the school board was in conflict with existing student transfer laws. There is a pending request for an opinion from Attorney General Scott Pruitt to determine if scholarships are taxable as income. However, opinions from other attorneys state that the scholarships are not taxable including one from an attorney with a law firm that represents several school districts. House Bill 1744 clarifies that parents can use the scholarships to pay private schools for assessment fees, services and therapies to address the needs of the student. Upon acceptance of the scholarship, parents assume full financial responsibility for the education of the student and transportation to and from the private school. The measure instructs the Department of Education to establish a toll-free number and website where parents can get information and assistance. According to the State Department of Education 52 students from 18 school districts are currently using the scholarship to attend a private school of their choice. The legislation also creates a Special Education Statewide Cooperative Task Force to study ways to improve special education and related services. House Bill 1744 easily passed both chambers of the Legislature, receiving bipartisan support. The bill passed the Oklahoma House of Representatives 64-25 and passed the State Senate 36-9. The State of Oklahoma web portal provides a service for deaf and hard-of-hearing people to receive timely notification of weather hazards in the state of Oklahoma. OK-WARN is a customized database program that sends out critical weather information to alphanumeric pagers and e-mail addresses. The program was created to help ease the fears of deaf and hard-of-hearing individuals who may have difficultly receiving life saving warnings. When the National Weather Service issues a weather alert, the program will automatically send a message to all participating pages, so notification is nearly instant. In addition to all that, the program also provides multiple data sources and attempts to deliver the critical message so you can be sure you'll never miss a warning. A task force has been created by the legislature to study how special education and related services are provided to students and to develop a plan to implement a special education statewide cooperative. The Special Education Statewide Cooperative Task Force was included in House Bill 1744 that was signed by Gov. Mary Fallin on Thursday. 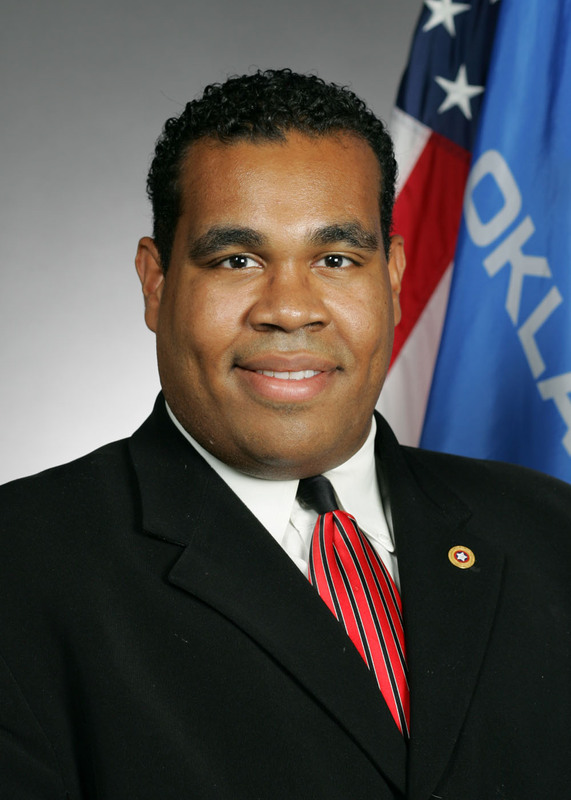 "I'm asking for anyone with suggestions of individuals who may be qualified for appointment to the task force to submit those names to me or to the respective appointing authority listed in the legislation," said State Rep. Jason Nelson, R-Oklahoma City, author of HB1744. "The work of the task force begins in July so it is important to identify potential task force members quickly so all the positions can be filled in time." A. There is hereby created until May 31, 2012, the Special Education Statewide Cooperative Task Force. 11. Any other relevant issues. 16. A member of the Senate, appointed by the President Pro Tempore of the Senate. D. The member of the House of Representatives and the member of the Senate shall serve as cochairs of the Task Force. Appointments to the Task Force shall be made within thirty (30) days after the effective date of this act. Meetings of the Task Force shall be held at the call of either cochair of the Task Force. Members shall serve at the pleasure of their appointing authorities. A majority of the members of the Task Force shall constitute a quorum to transact business, but no vacancy shall impair the right of the remaining members to exercise all of the powers of the Task Force. A vacancy on the Task Force shall be filled by the original appointing authority. Staff support for the Task Force shall be provided by the staff of the House of Representatives, Senate and State Department of Education. The Oklahoma Department of Career and Technology Education, Oklahoma State Regents for Higher Education, Office of Disability Concerns, State Department of Rehabilitation Services, Oklahoma Health Care Authority, Department of Human Services, and the State Use Committee for the Department of Central Services shall provide support and information as requested by the Task Force. E. Members of the Task Force shall receive no compensation for serving on the Task Force, but may receive travel reimbursement, contingent on the availability of public or private funds for this purpose. F. The Task Force may seek the assistance of the Legislative Service Bureau or the State Board of Education to contract with an independent consultant as necessary to fulfill the duties specified in this section contingent on the availability of funds. G. The Task Force shall submit a preliminary report by December 31, 2011, and a final report by May 31, 2012, to the Governor, the President Pro Tempore of the Senate, and the Speaker of the House of Representatives. Governor Mary Fallin today announced she signed into law measures to aid Oklahoma military personnel and families. House Bill 1603, House Bill 1343 and Senate Bill 115 all received unanimous support in the Oklahoma Legislature. HB 1343 grants college scholarships to the children of military personnel killed in the line of duty after January 1, 2000. Scholarships will be administered through the Oklahoma Higher Learning Access Program (OHLAP). HB 1603 prohibits the use of military deployment as a cause for changes in child custody agreements, ensuring that military deployment cannot be used as a negative factor in determining custody. SB 115 protects military voting rights by ensuring state election law complies with federal law relating to voting practices for active duty military personnel. Today is the last day Fallin has to act on legislation passed during the 2011 legislative session. Gov. Mary Fallin has signed The Erin Swezey Act into law. 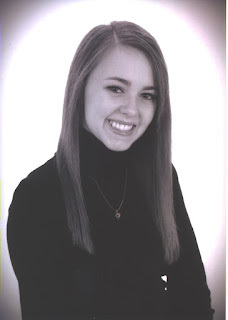 Thursday, the governor approved Senate Bill 529 which is named for the 20-year-old Oklahoma State University student from Edmond who was killed in 2009 by a drunk driver with numerous DUI arrests and convictions. Sen. Clark Jolley, R-Edmond, is principal author of SB 529. 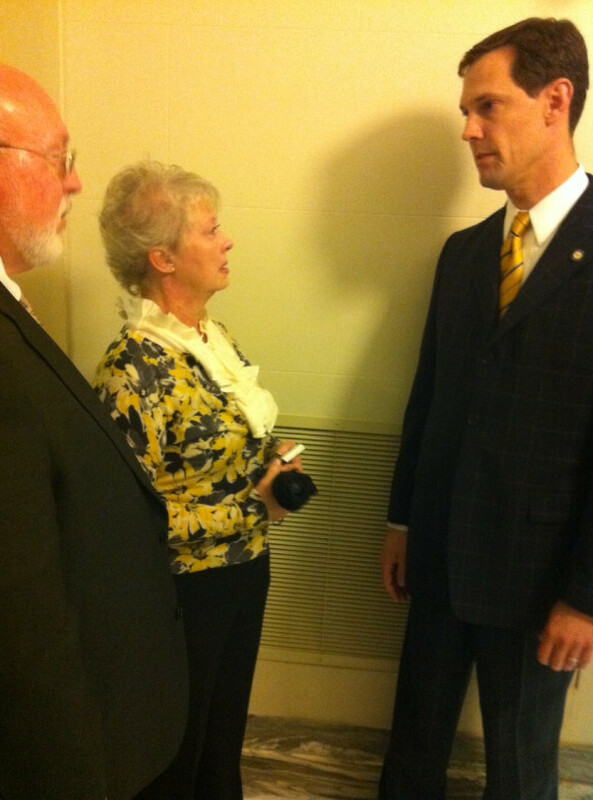 He said the bill was requested by Erin’s parents, Keith and Dixie Swezey. As of November 1, 2011, an interlock device will be required for 18 months on a first conviction for those with a blood alcohol content (BAC) of .15 or higher. For a second or subsequent offense, the interlock will be mandatory for those with a BAC of .08 for a period of four years, and for five years on subsequent offenses. Under the new law, those convicted will have the designation “Interlock Required” on the face of their driver licenses as long as they’re required to have an interlock device. Speaking on behalf of his wife Dixie, Keith Swezey said they were elated that the Erin Swezey Act has been signed into law. Governor Mary Fallin declared a State of Emergency yesterday for 68 Oklahoma counties due to tornadoes, severe storms, straight line winds and flooding that began Tuesday. The counties included in the declaration are: Adair, Alfalfa, Atoka, Blaine, Bryan, Caddo, Canadian, Carter, Cherokee, Choctaw, Cleveland, Coal, Comanche, Cotton, Craig, Creek, Custer, Delaware, Dewey, Garfield, Garvin, Grady, Grant, Haskell, Hughes, Jackson, Jefferson, Johnston, Kay, Kingfisher, Kiowa, Latimer, LeFlore, Lincoln, Logan, Love, Major, Marshall, Mayes, McClain, McCurtain, McIntosh, Murray, Muskogee, Noble, Nowata, Okfuskee, Oklahoma, Okmulgee, Osage, Ottawa, Pawnee, Payne, Pittsburg, Pontotoc, Pottawatomie, Pushmataha, Rogers, Seminole, Sequoyah, Stephens, Tillman, Tulsa, Wagoner, Washington, Washita, Woods and Woodward. These Oklahoma counties were east of a dry-line and in an area which experienced tornadoes, straight line winds, damaging hail and flooding. Damage assessments are ongoing. Under the Executive Order, state agencies can make emergency purchases and acquisitions needed to expedite the delivery of resources to local jurisdictions. The declaration also marks a first step toward seeking federal assistance should it be necessary. OKLAHOMA CITY (May 25, 2011) – Oklahomans will have a new way to financially support teachers thanks to an income tax checkoff program signed into law today. The State Board of Education, headed by the State Superintendent of Public Instruction, would use the money collected to provide annual grants to public school classroom teachers for supplies, materials, or equipment. Applications will be considered on a statewide competitive basis. “The legislation was a request from teachers associated with Professional Oklahoma Educators, and in a tough budget year, this was an innovative way to provide extra funds for the classroom while also encouraging innovation,” Shumate said. House Bill 1852 passed the Oklahoma House of Representatives on a 93-2 vote and passed unanimously in the state Senate before being signed into law by Gov. Mary Fallin. “It is obvious the State of Oklahoma has experienced a large tornado outbreak today. I am in constant contact with our State Emergency Operations Center and I know local authorities are doing everything they can to respond to the storm and keep our citizens safe. “Our thoughts and prayers go out to all those already affected by these storms. Governor Mary Fallin and Secretary of the Commissioners of the Land Office Harry Birdwell announced earlier this week a record-setting year for the money provided by the CLO to K-12 schools, colleges and universities. The agency is expecting to distribute a total of $124 million to schools over the course of fiscal year 2011, the largest annual distribution to schools in state history and over $10 million more than was distributed in FY 2010. As of now, the CLO has distributed $112 million to education, including $84.9 million to common education, and is expected to distribute another $12 million total by the end of the fiscal year in June. In addition, CLO officials report that all indications point to another record disbursement year in fiscal year 2012 if state oil and gas drilling activities continue at a strong pace. CLO distributions continue to climb, with education distributions reaching $82.6 million in FY 2009, $114.3 million in FY2010 and a projected total of at least $124 million in FY 2011. Created at statehood, the CLO controls 1.3 million mineral acres, approximately 750,000 acres of land and a $1.8 billion trust fund. Monies from oil and gas exploration and land leases on CLO-controlled property and dividends from investments made by the trust fund are distributed monthly by the CLO to state schools. Under the state budget agreement reached last week, common education would receive a funding decrease of 4.1 percent and higher education would receive a funding decrease of 5.8 percent. Legislative approval of proposed education supplemental appropriations would put common education’s funding decrease at about 3.8 percent and higher education’s funding decrease at about 4.8 percent. The CLO disbursements will further offset those funding reductions. The Legislature adjourned today for the year following a historic session that saw successful passage of a sweeping, pro-growth, conservative agenda. The House recessed today and will not convene next week unless there is an emergency. The formal Sine Die will occur May 27 at 5 p.m. The Legislature will not have to convene for Sine Die to occur. Steele praised lawmakers for their work this year to advance major agenda items. “We succeeded in creating an environment where businesses can succeed and families can prosper,” Steele said. “We made landmark reforms to our civil justice, workers’ compensation, pension and corrections systems. We also started to roll back the size of government while increasing the efficiency of important government services through modernization and consolidation. We advanced legislation defending family values and constitutional rights. And finally, we passed a balanced state budget that did not raise taxes and protected core services. Policies that uphold family values. In addition to the legislation the House passed this year, several changes were made to legislative process that resulted in increased transparency and accountability. For the first time, conference committees were required to meet publicly and bills to be heard in conference committees had to be posted publicly beforehand. Also, new tools allowing the public to follow the legislative process online continued to be added to the House website. “These changes brought a higher level of transparency to the Legislature so the public can be better-informed about the good work conducted on their behalf,” Steele said. The Oklahoma State Senate adjourned today capping off a year of legislative victories that will mark the most successful session for government reform and conservative goals in the history of the state. Leading an ambitious caucus that aggressively delivered on goals that have been on Republicans’ agenda for decades, President Pro Tempore Brian Bingman, R-Sapulpa, said he was proud of the accomplishments. “I cannot thank my colleagues enough; they all did such a great job this session working hard and diligently to the end. The last pieces of Governor Mary Fallin’s legislative agenda passed and were sent to her desk today, as the historic 2011 session came to a close. While the legislature will officially declare the session over next Friday (5/27), legislative leaders have indicated that no more bills are to be considered this year. Governor Fallin and legislative leaders also reached an agreement on a fiscally responsible, balanced budget that closed a $500 million revenue shortfall without raising taxes. While making cuts of up to 9 percent for various government agencies, the budget agreement makes lesser cuts to areas of government dealing with core services like education, health and human services, public safety and transportation. 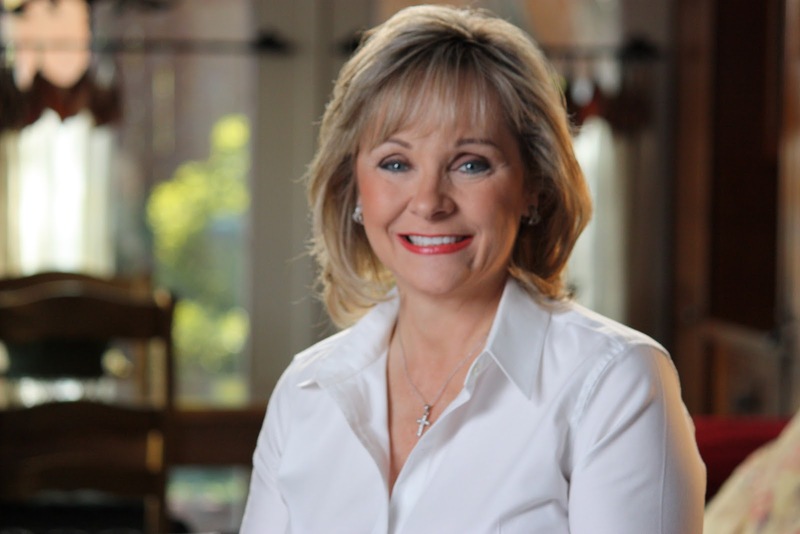 Click here to see Governor Fallin's report about the 2011 legislative session. Legislative allies of advocates for openness government operations turned back an attempt to weaken Oklahoma’s transparency provisions. 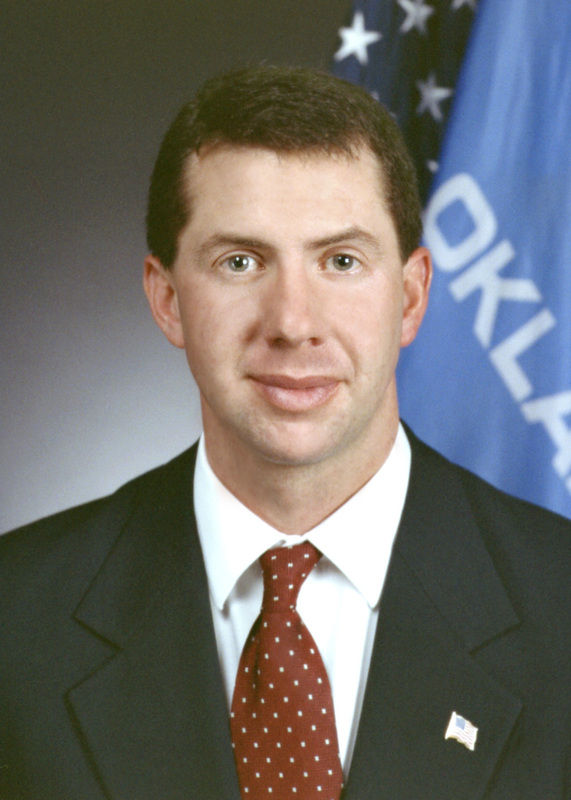 Mark Thomas of the Oklahoma Press Association (OPA) said Jordan told him he was “through with the bill and would not be bringing it back up this session.” The bill would have expanded attorney-client privilege provisions for public bodies and, Thomas told CapitolBeatOK, would have devolved decisions over privilege decisions to attorneys rather than judges. 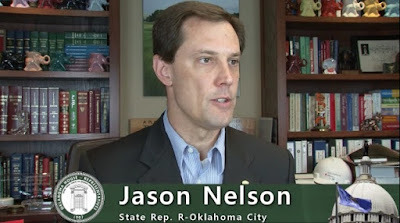 Many points against the bill were made seriously, including the comments of state Rep. Jason Nelson, an Oklahoma City Republican, that he was not inclined to give the Tulsa Public School administration more ability to claim attorney-client privilege. Nelson noted he had been seeking information from the district for months and was still not satisfied with the system’s responsiveness. Others participating in debate and questioning included Republican Reps. Mike Ritze of Broken Arrow, John Bennett of Sallisaw, Randy Grau of Edmond, Pat Owenby of Ardmore, Aaron Stiles of Norman, and Mark McCullough of Sapulpa; and House Democratic Leader Scott Inman of Del City. Most of the group that spoke up on the floor broke against the bill, voting may, but Reps. Stiles and Grau backed it. Despite his “95 percent” comments, Rep. Reynolds voted with the majority against the bill. The bill was favored by the Oklahoma Municipal League and the Tulsa Public Schools, an alliance that presented a daunting challenge to prevent erosion of access to public records. In the end, that legal status quo remained in place as a result of the House vote on Tuesday (May 17). Because the vote was actually on the conference report and not “fourth reading” (final passage), Rep. Jordan could bring the measure back in the 2012 legislative session, but he indicated to Thomas and others that is unlikely. State Sen. Jim Reynolds has submitted his resignation from the State Legislature, effective July 1. Reynolds, R-Oklahoma City, will begin his first term as Cleveland County Treasurer the first week of July after winning the post in the November 2010 election. 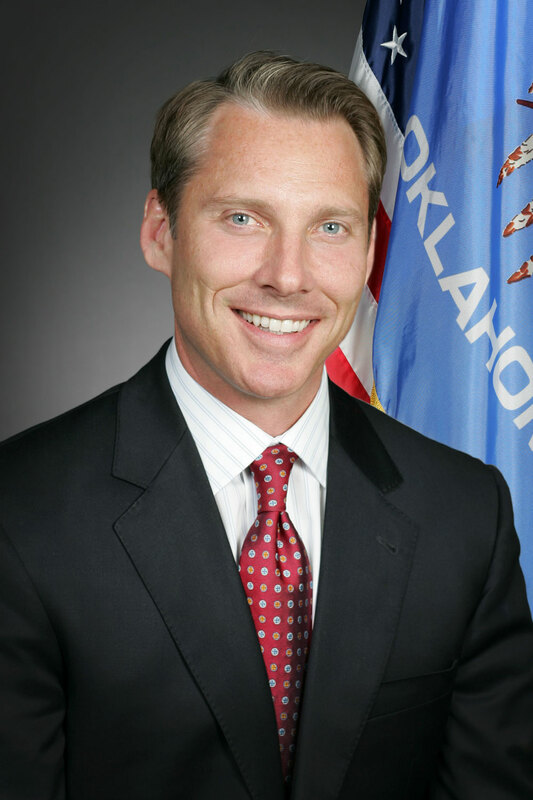 Reynolds has represented the people of Cleveland and Oklahoma counties in Senate District 43 since 2000. The Oklahoma state Senate this week (Wednesday, May 11) passed Oklahoma’s health care compact. Oklahoma became the fourth state to pass such a proposal. It authorizes an accord among participating states and, according to a leading national advocate, would allow Oklahoma to create its own health care policies. Supporters contend the compact could trump prior federal law. Read full story by Patrick B. McGuigan at www.capitolbeatok.com. House lawmakers voted this week to increase public scrutiny of state road revenue. House Bill 1489, the Taxpayer Transparency Act, passed unanimously today in the Oklahoma House of Representatives and goes to the state Senate for final approval. Brumbaugh noted that over half of some transportation-generated revenue, such as motor vehicle fees, currently goes to non-transportation sources and agencies. He noted that the issues of transparency and accountability were significant issues in recent statewide elections and House Bill 1489 advances that cause significantly. The Senate Committee on Redistricting has completed its task of redrawing Senate district boundaries based on the 2010 U.S. Census. Sen. Clark Jolley, an Edmond Republican, and Sen. Bryce Marlatt, a Woodward Republican, are co-chairs of the committee. While the measure is widely expected to pass, it will draw some opposition votes, according to the Senate minority leader. Jolley said it was a painstaking and difficult process, but in the end, the final boundaries were the result of a bipartisan effort and reflect a strong commitment to civil rights. The committee approved the proposal Wednesday afternoon (May 11). “We had to make sure the each district has approximately the same number of people and that we preserved districts where a majority of citizens are minorities. Oklahoma’s population grew by some 300,000 people over the past ten years, but there’s also been a major shift from rural areas to metropolitan suburbs,” Jolley said. The current district boundaries were designed so that each would have approximately 72,000 people. Oklahoma’s population increased by 8.7 percent from 2000 to 2010, which meant each Senate district had to be redrawn to expand those districts to approximately 78,000 people. Sen. Sean Burrage, a Democrat from Claremore, served as co-vice chair of the redistricting committee. He said the final proposal is the product of common sense and bipartisanship. In response to question from CapitolBeatOK, Senate Minority Leader Andrew Rice, an Oklahoma City Democrat from District 46 in the MidCity area, commented, "In the end they were fair to Senate District 46 and many other Democratic districts, but I will be voting NAY on the overall bill to show solidarity with members of my caucus who are unhappy with the process, and who will vote against the bill. However, there will be enough bi-partisan votes for the bill to pass." Note: Editor Patrick B. McGuigan contributed to this report.